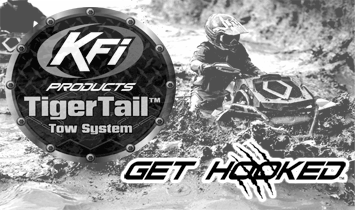 The TigerTail is the Only QUALITY ATV and UTV retractable tow rope available today! Superior to a tow strap and wicked fast compared to any electric winch. Its retractable design allows for a quick, easy and clean use for towing or as an anchor-line during poor underfoot winch operations! The best of tow systems!! Purchase Your Very Own TigerTail Today!